After enjoying a beautiful sunny day yesterday, I thought it’d be an age until we saw the sun again, but no, we have a blissful day once again. Maybe the rumours are true and summer really is around the corner. Think it might be time to dust off the sandals? So, let’s get back to the adhesives that we were talking about before. There are many types to choose from and everyone has their own preference. 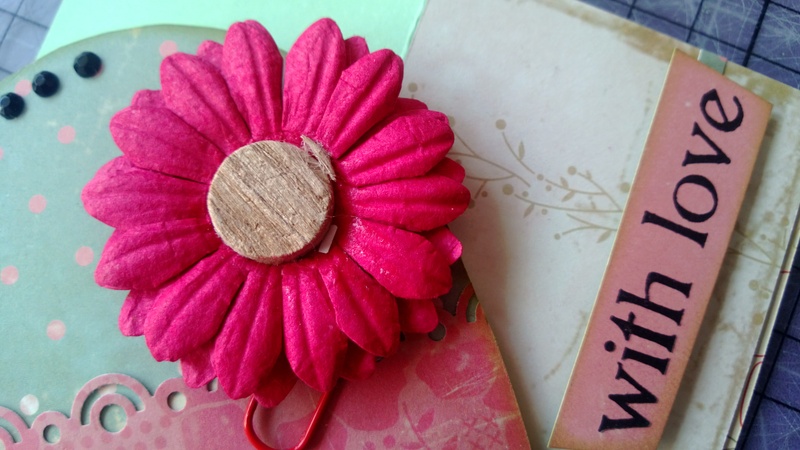 Double sided tape and wet glue is ideal for sticking things flat onto a project but what if you want some dimension to give extra texture to your project? 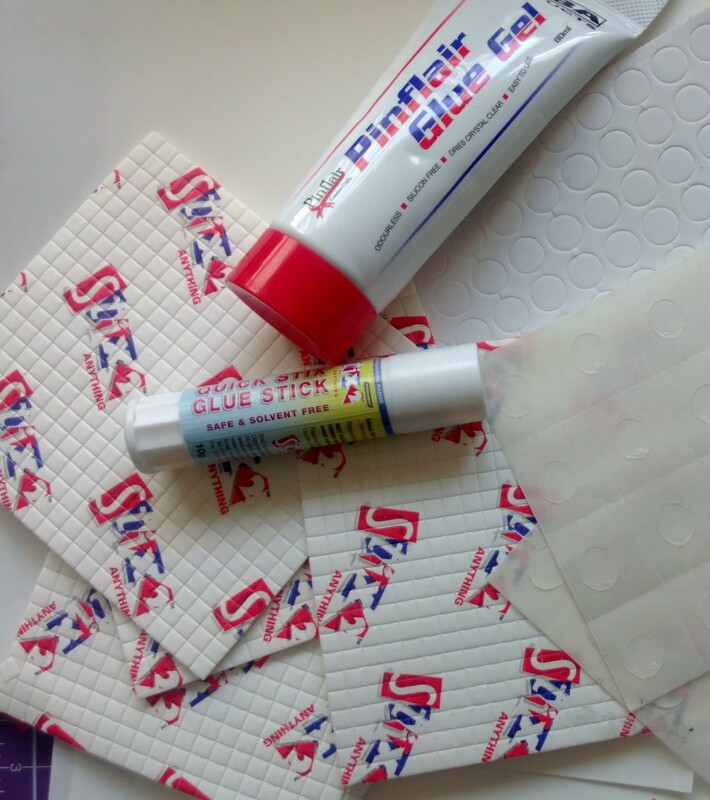 There’s a few options on the market from foam pads to silicone glues, there’s also glue gels and glue dots. These are all readily available and you’ll discover which one you prefer. Have you ever got a handmade card from someone only to open the envelope and an embellishment falls off as you’re trying to get the card out? So, it’s a good idea to find the right adhesives for your project. I know that there are a lot of us that love decoupage and the easiest way to assemble a topper is by using foam pads, there are various sizes you can get and they even come in black if you don’t want to see a white edge under a dark image. These are ideal if you want your project to look fairly uniform, however, if you want to curl the cut outs and give your project a more “realistic” look, say for a floral topper, then it might be better to try some silicone or glue gel. 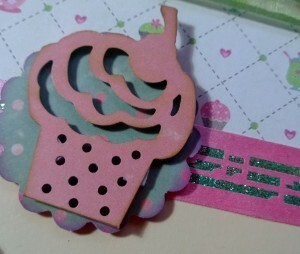 Silicone glue is great if you’re not sending a lovely made card to a friend. 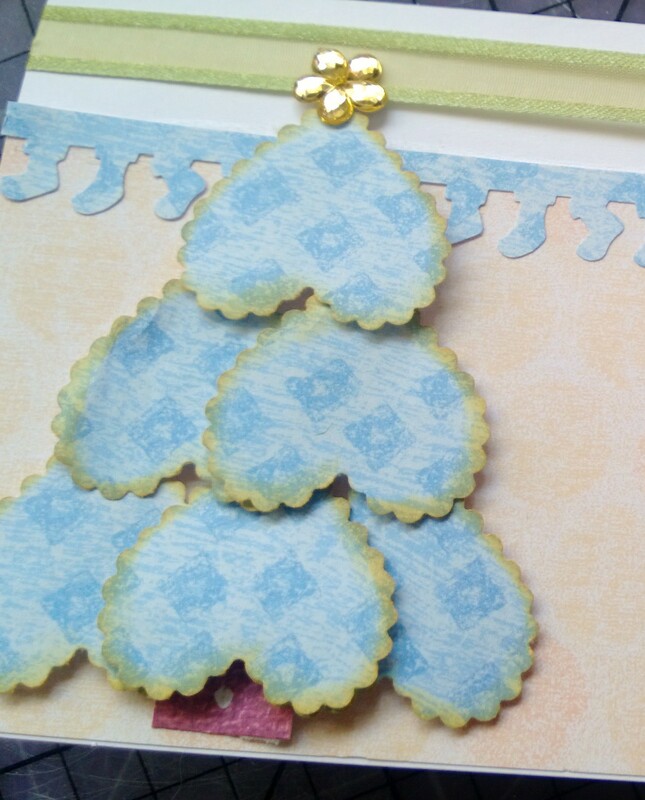 Opening a card and getting a whiff of silicone glue is enough to knock them off their feet for a couple of minutes. Not a great start to the day. Princess Pinflair has approached this issue and found a great solution. Her glue gel is ideal as it doesn’t contain any silicone so solves the problem for people with silicone allergies too. No more smelly cards. With these types of medium, you can decide the height you want and adjust until you’re happy. 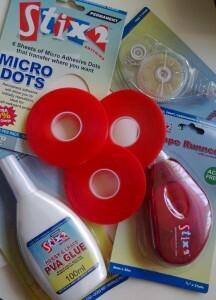 Silicone and glue gel is also ideal for securing heavier embellishments down permanently. But, If you’re strapped for time and want a quick alternative, glue dots are great, they won’t give as much dimension as foam pads or the glues, but they are super sticky so heavy embellishments won’t fall off and there’s no drying time! I hope you’ve found this useful but if you’re still a little puzzled, let me know in the comment box and I’ll reply to you ASAP. Any other comments are all welcome so please feel free. It was such a lovely day yesterday and it was topped off with a handsome dinner of Tortellini Pesto Soup, yum. You can find the recipe here http://www.bbcgoodfood.com/recipes/449616/tortellini-and-pesto-minestrone Try it, it’s so good. To Stick or not to Stick – which Adhesive is the Question! What a beautiful day it is today, sunshine and tweeting birds. I hope its nice where you are. I was getting down to sorting out my craft room when I picked up a box that hadn’t been looked into since it arrived. Once opened, I realise it’s the Stix2 goodies needed for the Harrogate show coming up soon, probably sooner then I think actually. A whole load of different adhesives spill out and this makes me think it must be so puzzling for a new crafter to figure out which glue to use with what. My choice of adhesive for card making has always been double sided tape purely for its ease of use and no drying time, however it can be difficult to reposition, sometimes impossible, without tearing your project. I know that a tip for this is to use some glue stick over the tape so it becomes slidey making it easier to manoeuvre. 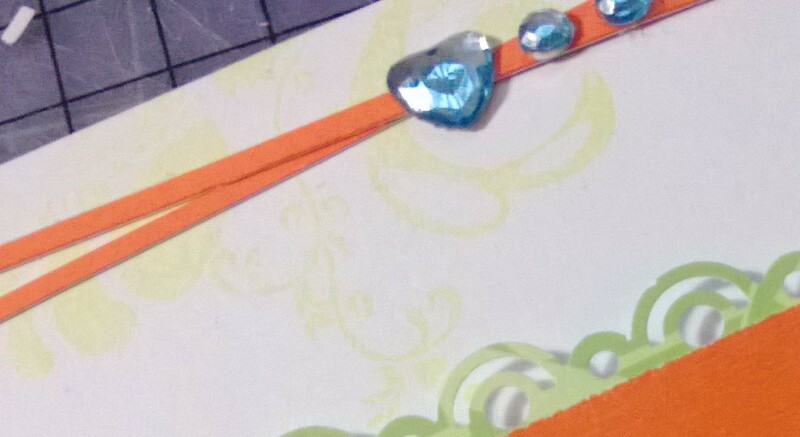 Double sided tape is great for thin slivers of paper to embellish projects with. 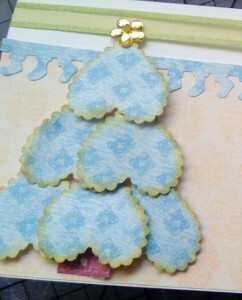 Just stick the tape on the back of paper or card before cutting out, peel off the backing and hey presto! Although I’d love to use double sided tape for everything, it’s not ideal for all projects. For example, if you’re making a box, it’s better to use a wet glue like PVA and hold down the bits you’re sticking together until dry. You can hold it down with your fingers but it does get a bit boring, so just use something like a paperclip or clothes peg, so you can free your hands to do something a bit more exciting like making a cup of coffee, with a biscuit of course. If you’re as impatient as me, Stix2 has thought about the problem us tape lovers have about waiting around and they do a tape that looks red, as seen above. When you use it, you’ll see that it’s not red at all but ultra clear and ultra sticky. This is ideal for boxes, etc. and no waiting time. Guess, I’ll have to give that coffee a miss for now. 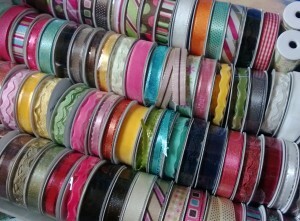 It’s also good for sticking ribbon, heavier embellishments and Glitter! I have tried it with embossing powder and heated and it is perfect. Well, I’ve got to a point where I’m stuck for words now, I’ll leave it until next time for some more tips about glue. In the meantime if there’s anything you’d like to ask please use the comment box below or use it just to let me know you stopped by. 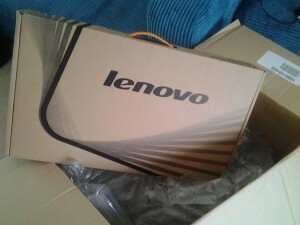 I am back, although I did say I would be here sooner, having problems with IT hardware didn’t help. However, this problem has been resolved with the arrival of my new laptop. So, now, all I need to do is sort out all my accounts, and there are a few, and get going. Its totally free and you could win the brand new AdvantEdge worth nearly £50. You have absolutely nothing to lose. Good Luck and have a fantastic weekend.